I have been attending men’s conferences and local parishes recently in order to talk to men about the Order of Lepanto. There is, invariably, a lot of excitement when we show sparring (either live or in videos) and as interest builds the question of equipment and cost comes up. I have prepared this short article to try and answer the question of what is needed, divided into must have, good to have, and nice to have. Our first must have is a uniform – black pants and a white shirt. You are free to purchase cotton or moisture wicking pants and shirt, though we do emphasize that they need to have no logo (or a smallish logo). There is also the option of an historical uniform – any medieval or renaissance swordsman shirt in white or natural would be acceptable. As for historical pants, you can also substitute knee breeches or long pants. Shorts can be worn in hotter climates. Second up is shoes. While there are some excellent options available if you want to be as historic as possible, for the must-have section the requirement would be athletic shoes of any type. The wearing of combat boots or work boots is highly discouraged because they will stop you from being able to perform many of the stepping maneuvers in the art. First in this section is a fencing mask. We have a dual emphasis on control and safety in the Order of Lepanto, so we train for good control and require some safety devices. The first requirement is that everyone wears a fencing mask while sparring with any kind of weapon. 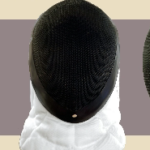 You can get a fencing mask fairly inexpensively ($50) and we have a couple of vendors that we recommend here. If you get all of the items so far, you will be set for your training for quite a while and the total (aside from the uniform) is under $200. The next section covers those items that will become important as your training progresses, but can be delayed for a year or so while you learn the foundations of the art. The first thing we’ll cover in this section is a blunt steel sword. This is first because it is the most visible sign of a more experienced practitioner. There are only a few companies that make good blunt swords for sparring – Albion, Regenyei, Lutel, and Hanwei. Prices range from $200 to $500 for these swords. 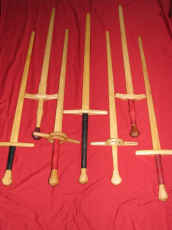 The best of these are the swords from Albion, while the Hanwei swords are the most affordable. Also, be aware that the Hanwei Tinker-Pearce comes with a square edge that you must file down for safety. Next we have additional weapons which will become necessary for advanced ranking in the order. You will need, at some point, to get a dagger simulator (either rondel or main gauche), a single handed sword, a buckler, and a quarter-staff. These items range from $25 – $500 depending on which we are talking about. The swords will come from the same manufacturers list above, dagger simulators are usually available from the waster companies, and steel bucklers are widely available at a good price point. Footwear. While any kind of athletic shoe can work at the start of your training, the historical manuals show no shoes with thick soles (a la running shoes), heavy boots, or thick heels. All of the period footwear appear to be thin with flat soles. Therefore, as we attempt to more accurately reproduce what the sword fighters did, we will need to wear shoes similar to theirs in order to more accurately move. 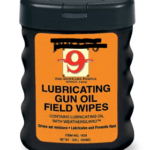 So, what do I recommend? 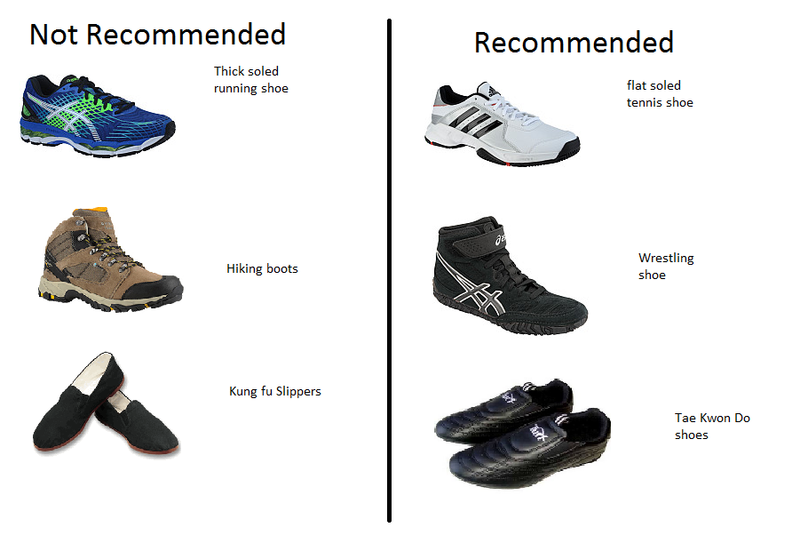 Get some wrestling shoes, sport fencing shoes, simple tennis shoes, or even tae kwon do shoes. They are cheap, look decent, and meet all the requirements. But avoid those cheap flimsy kung fu slippers — truly the slipperiest shoes on the planet and just terrible. 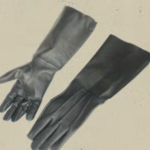 They offer no protection to your toes or heels and they rapidly deteriorate from use. While there is a cost to getting the equipment you need for this activity, the cost fairly low and can be split up over a several months as needed. The faith aspect of our group can be studied without additional expense, as the manual is freely available electronically. You will want to add religious books as you grow in your faith, but that can be spread out over a lifetime! For many who are involved in Western Martial Arts (WMA), the only goal of practicing historical swordsmanship is to come as close as possible to developing real martial skill in the use of period weapons. Members of The Order of Lepanto also share this goal, but not as a means unto itself: it is a path to enhancing your faith life, preparing for spiritual warfare, and guides you in living out your vocation. 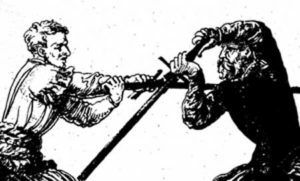 Unlike sixteenth century swordsmen, today’s student of the sword will, most likely, never have the opportunity to put his skill to the ultimate physical test. Even so, we want to develop true martial skill in the art. By then translating the lessons to our spiritual life, we will be more prepared for the real-life tests our faith will have to endure. So the approach we have developed at the Order is true to martial skills, martial heritage, and orthodox Catholic teaching. It is certainly one of the most complex, and it offers something more than what is generally available in Western swordsmanship. 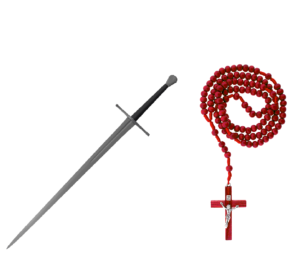 Let’s look at what the Order of Lepanto’s method of teaching historical swordsmanship and spiritual growth is all about. If you’re serious about learning swordsmanship, then the measure of any system of study is the quality of the education that results. 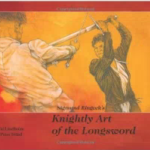 In other words, you expect a working knowledge of how to fight effectively with swords. You also want to acquire the basics within a reasonable amount of time – without the “wax on, wax off” routines that tend to keep beginners from quickly advancing. Ultimately, the system should produce a mature, competent swordsman – a swordsman capable of using real weapons in actual combat. The farther a system gets from the reality of combat, the less useful it becomes to the student who wants true martial skill. Realistically, all systems involve a certain amount of “distance from combat reality. Simulations are used as an alternative to real fights. Safe sparring systems must be created to meet the demands of modern studies. A reasonable gage of an effective system is to see how closely its sparring system resembles the dynamics of real weapons use. This is an area where The Order of Lepanto and one other group stand out. Our sparring systems are merely a means to an end, not an end in themselves. We do not try to achieve skill at “sparring.” Rather, a number of sparring techniques are used to develop skill at fighting. You can judge the value of a sparring system by measuring how well true fighting principles work in the sparring environment. Ideally, the system should allow you to do what works without letting you get away with what wouldn’t. Target areas and sparring weapon construction are two factors which will figure in this appraisal. If you’re serious about growing in your faith, then we would measure that system by a different standard: are you becoming more patient, are you learning to love people who are hard to love, are you increasing your knowledge of the faith. Many people today have been left with a teenage understanding of the faith because that is where the traditional religious education program stopped. The Order of Lepanto aims to build an adult understanding of your catholic faith and help you to grow in that faith. Before proceeding, let’s narrow the focus a bit. The only way to evaluate any training system properly is to first grasp its intended role in the overall goal of a program. Developing martial skill and building a healthy, Catholic faith life is the goal of our system. There are no contests or competitions. Sparring itself provides a workshop in which members can safely practice the martial skills that they’ve learned. Our faith studies then go on to provide a framework to relate that martial skill to the realities of spiritual life for the Church Militant. Comparing what The Order of Lepanto does to what a number of non-martial groups are doing with swords will help bring this point into focus. First, we will look at sport fencing. In spite of its ancestry, modern fencing is not meant to transmit the art of historical swordsmanship. The foil, epee and saber are no longer stand-ins for weapons but ‘weapons’ themselves. 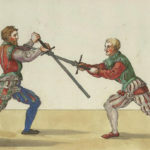 In sport fencing, the value of a technique is not its lethality but its ability to score, and the attitude of the modern fencer is competitive rather than martial (a trend that can be seen in some Eastern martial arts, too). It must be said that modern fencing lays no claims to teach an historical system of swordsmanship – it’s an evolving sport where new innovation takes fencers towards the sport aspect and further from its roots. However, things you learn from sport fencing instruction can be useful in studying historical swordsmanship. Familiarity with fencing terminology is a plus and practicing fencing is a better preparation for a real sword fight than no practice at all. But the purpose of fencing is not the study of historical swordsmanship, so the merit of the sport has little impact on our present evaluation. A sub-culture has emerged in the fencing community which is focused on the teaching of eighteenth and nineteenth century swordsmanship. 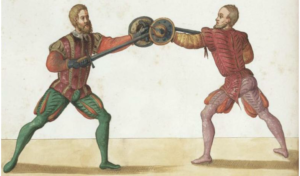 Classical fencing asks the question, “What if our swords were sharp?” Techniques and thinking of the modern fencer are removed, and the classical fencer returns to a more martial use of the dueling epee and the smallsword. A second practice we will review is the fighting done in the Society for Creative Anachronism (SCA), which they classify as “heavy” and “light”. While these forms are practiced as a kind of competitive sport by many, and as a semi-martial practice by some, their intent is not to produce swordsmen skilled in the use of real weapons. As with sport fencing, there may be many benefits afforded by SCA, but these are secondary to the main purpose of the pursuit. The question of “purpose” or intent is critical, as you can’t fault a system that doesn’t claim to teach real swordsmanship for using a sparring system that doesn’t prepare a student for the realities of combat, much as you cannot fault a secular school for failing to teach the Catholic moral standards. While many people criticize systems like that of the SCA for these reasons, we must understand that SCA combat was never intended to be a martial pursuit. Stage combat falls into the same category. Many stage combatants use replica weapons, and they create a spectacle which looks convincing to the untrained eye. We must remember that stage combat is about creating an illusion, not a fight. In that pursuit, stage combatants often sacrifice “authenticity” for the purposes of safety or entertainment and we shouldn’t be surprised – or concerned. People study stage combat to learn how to pretend to fight, not how to do it for real. In summary, the exclusion of these three categories is not intended to disparage their participants or discourage their pursuit. All require skilled participation and can produce impressive results. None of them claims to teach historical swordsmanship, like The Order of Lepanto and a couple of others. But unlike other martial programs, The Order of Lepanto exists not only to preserve and pass on a practical understanding of historical swordsmanship, but to also cultivate a faith life similar to the deep religious belief of the historical swordsman himself. One factor irrevocably separates anything we do today from the historical reality: the obsolescence of the sword. No matter how proficient your skill with the sword, you’ll most likely never use it in a life or death context. Even if the nearest thing at hand when your house is broken into is your trusty longsword, the odds of your intruder also being a swordsman are slim to none. Because people no longer use swords for real anymore, there is no common knowledge to draw upon in the study of swordsmanship. Nowadays we use guns, and even people with no formal firearms training know enough to operate the weapon. The same was most likely true in the fifteenth century with swords. The process of learning swordsmanship without that common knowledge means not just starting from square one, but moving back to square zero. With historical accuracy as our goal, we must unlearn the things we have learned from TV, movies, fencing, SCA and Eastern martial arts. 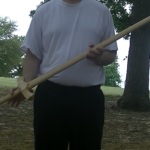 To study historical swordsmanship, we have to focus on learning the real techniques preserved in the historical manuals, which reveal themselves through training. 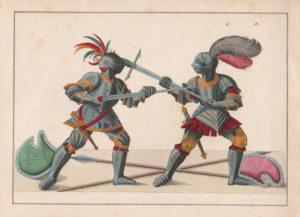 And since we’ll never have the chance to try them in combat, we need an effective method of practice and sparring that checks the effectiveness of our technique against a determined opponent. That’s where safety rears its ugly head. The only way to be confident that a technique works is to use it effectively against a determined, skilled opponent in a life or death struggle. When you try to simulate this reality as closely as possible, you’re essentially weighing safety in one hand and realism in the other. You’ve got to strike a balance as far in the favor of realism as you can without sacrificing safety. If you begin with real combat as your “ideal,” the first obvious safety measure is to use blunted weapons. The next measure is to use both headgear (fencing mask) and gloves – though there is precedent for “scholar’s privilege” which is an agreement not to thrust to the head, The Order of Lepanto requires both men to have achieved Knight Scholasticus ranking before it can be invoked. But a blunted weapon isn’t necessarily a safe one, which means that participants must also exercise proper control. Strikes must be carried out with enough speed to be effective in a real confrontation and yet contact must also be controlled enough to keep your partner safe. In the medieval and Renaissance period, swords were not mass-produced to some pre-determined standard. Looking back, it is impossible to define the specifications of a longsword versus a cut-and-thrust sword beyond generalities. Therefore, we cannot say for certain that a specific sword accurately simulates the handling of all swords of a similar type. One of the key issues is that virtually no modern maker has their hand-forged pieces tested for durability in warding off the full force blows of other sharp blades, nor do they go around hitting soft and hard armors full force. So much work and effort has gone into their pieces that they do not want to see them damaged. Further, customers who have spent a lot of money are not about to damage them doing the same either. Most every maker and every consumer does minimal work to evaluate a blade to the point of destruction. They then base their future impressions of other swords upon that small experience. Another problem is that every sword can be unique. Even ones that match the same general geometry and form can vary considerably. When it comes to replicas, unfortunately, there are just so many different elements to miss and crucial factors to get wrong that the bad samples seem to outnumber the good ones by a good bit. Just getting the general shape and weight correct, then using quality steel that’s been properly tempered isn’t enough. When you pick up most any sword, you can make an instant decision as to whether or not it “feels” good. However, without manipulating that sword with proper motion and energy, this is a very shallow assessment. There is a combination of factors that go into making a sword really stand out as a real weapon. While these are not evident through holding a piece in your hand or moving it through empty air, they become obvious it’s wielded with the requisite force and energy needed to strike effective blows against a test target combined with practice in warding off forceful strikes. This is where you see whether a weapon holds up and how well it maneuvers for whatever combat actions it was originally designed. Nevertheless, we know from other examples that simulation can be a valid form of training – police live-fire combat ranges and pilot training programs make similar trade-offs without losing their effectiveness as tools. As long as there is an awareness of the nature of the simulation, and the aspects of combat that the model doesn’t accurately portray, the use of simulation in training is a plus. Ironically enough, fighting it out with the real weapons is the most ineffective method of training of all, since only one participant gets the opportunity to learn from his mistakes. To learn historical swordsmanship more effectively, we need a system that uses a “triangulating” approach – combining different aspects into a cohesive system of the sword and faith. 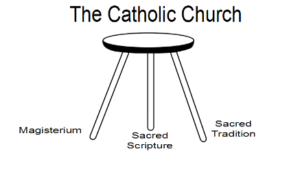 Much like the three-legged stool of the Church – Sacred Scripture, Sacred Tradition, and the Magisterium – without which the faith cannot stand, the studies of the Order of Lepanto are three-legged as well. The first leg of our training is structured drills, undertaken with either a wooden “waster” or a blunted steel. These weapons have the weight and appearance of the real thing, and they have some of the same handling characteristics, such as a tapering blade and a discernible edge. They teach precision and finesse. We review drawings and descriptions of the actions in historical documents and then work to understand the motion and dynamics being described. This first takes places at slow speed, before building up to a medium pace, with the overall intent of creating muscle memory of the action so that it can be employed with little thought. 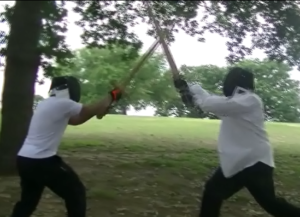 Drills in this category include fuhlen (or feeling), where the practitioner learns to feel his opponent’s sword and read his intent, in addition to master stances, master cuts, and counters. Taken alone, structured drills with blunt replicas is not an effective method for learning the martial aspect of historical swordsmanship. 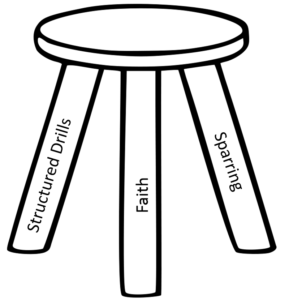 The second leg of our stool is sparring (referred to as “free play” by some). In sparring, we look to deliver solid, forceful blows without injuring an opponent, which allows a full-body target – an essential for realistic combat training. In sparring we put the actions that are practiced in drills to use in an adversarial (yet friendly) situation. The more realistically sparring is conducted, the more it sharpens reflexes, develops perception, teaches adversarial counter-timing, explores spontaneous tactics, conveys the skill of deceiving without being deceived, and lets the student try things that end up with them either getting whacked or not, but in the process not being maimed or killed. Our third, and final, leg is the Catholic perspective. In this area of our studies, members are actively reading period writings by saints such as Ignatius of Loyola, and looking to understand how the martial arts of that period shaped their understanding of the faith. We look to leverage our knowledge of sparring technique and weapons drills towards a deeper understanding and appreciation of spiritual warfare. Sharpened reflexes, detailed perceptions, and being able to respond spontaneously are all skills that are sharpened with martial arts and critical to the spiritual battles everyone will face. We also explore this area though prayer – our groups are required to open and close each practice in group prayer. The act of practicing martial arts servers to bring our members closer together and when combined with the positive spiritual experience shared prayer, we grow towards a closer brotherhood. Taken as a whole, this system “triangulates” true skill by approaching practice from several different angles. When you add to this our insistence on test cutting (and thrusting) with sharp weapons, you get a fairly complete understanding of both historical swordsmanship as distinct skills and how that skill shaped the faith of the historical swordsman. This is not a question of condemning fencing, the SCA, or any other group. You don’t have to look hard to see that there is a difference between what they do and what The Order of Lepanto does. The mistake people make is to look at one or two aspects of what we do and missing the bigger picture. He saw a part of the picture, but not the whole. The thing that separates what The Order of Lepanto does from sport fencing, groups such as the SCA – and most any other program you compare it to – is that the purpose of our method is to produce skilled combatants. 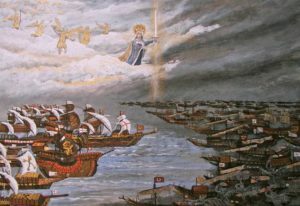 But there is another dimension too – because while there are other groups whose sole focus is historical combat, only The Order of Lepanto looks to grow beyond pure combat and help to build faith-filled Catholic men, who can use their martial skill in the test of spiritual warfare. In that vein, we do not sponsor competitions or anoint kings or put on performances. Our focus is narrow and concerns itself with than the effective use of historical weapons as a martial art and building a strong Catholic faith. You must not look at any aspect of the Order of Lepanto training system as a stand-alone piece or an end unto itself. As our introduction pointed out, no one involved in our group is concerned about learning to fight well with wooden swords or learning to fight well with padded swords. What we are concerned about is learning to fight well with real, sharp swords and with a real prayer life. All of these simulators are tools to help accomplish our goal, and together, they combine to offer a very effective system. If you are looking for an historical example of this phenomenon, you can study the battle of Lepanto from 1571. 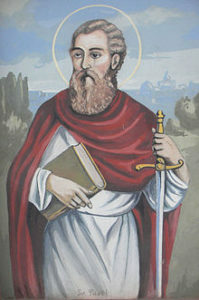 While many will write about the power of the Rosary: the Pope had asked all of the faithful to pray the Rosary for intention of victory, the commander of the Catholic forces ordered his men to pray the Rosary on the morning of battle before the fighting began, and finally the men carried their Rosaries into the battle. Indeed, the prayers of the faithful had been heard, but without the “yes” of those men, without their dedication to fighting against evil and for good the prayers could not have been answered. That very Catholic combination of works in faith is what made the victory possible. Interestingly enough, this point is not overlooked by Tolkien: Frodo’s use of the light of Eärendil to get Shelob to stop her attack is quite similar to prayer, but he must use his elven sword, Sting, together with the light to finally drive the spider away. The combination of faith and works, of martial spirit with prayer is what saves Frodo from this initial attack. When Frodo’s sword is used with the phial it displays “at its edges a blue fire,” symbolizing the amazing strength of prayer and action. The message to us is that the prayers of the Rosary combined with the strength a “yes” to go and physically engage evil creates a force that cannot be withstood. Shelob, though larger and more aggressive than the Hobbit, could not stand up to the incredible mixture of prayer and martial arts, fleeing from Frodo. By extension of the symbolism, Tolkien is trying to communicate to us that the malevolent people in the world cannot stand the combination of prayer and action. What happens next in the story is just as important – once Frodo realized that the immediate danger had passed, he let down his guard. This happens to us too. We turn to God in the dark times, yet as soon as the situation improves we go back to ignoring Him (sometimes not even bothering to say thank you for His help). When we turn from prayer and action too soon, or for too long, the evil that had threatened, returns. In the story Shelob sneaks into a hiding place and sets a trap. Her next attack deprives Frodo of his phial and sword – unable to pray or to defend, he is quickly defeated. How often this occurs to us. We leave our prayer life and our taken by surprise by Satan and sin. Without the protection offered by the spiritual graces, we are quickly subdued and taken. If we are lucky, we have a friend like Samwise Gamgee who will pray for us, defend us, and rescue us when we are in the deepest need. The mission of Order of Lepanto is to create an active movement of men, who enjoy physical activity and camaraderie in a setting that is faith-building. The decisiveness and audacity required to be a good martial artist is key to getting men prepared to defend their family, the Church, and the society from spiritual threats. When these skills are combined with an active prayer life, men gain the insight and wisdom to lead their families towards God. Our goal is to get men involved and connected with each other and the Church, while building their courage and confidence so as to give glory and honor to God. Strengthen muscles – As a person ages muscles begin to age too, possibly causing the loss of some muscle density and strength. This is why it is important to keep muscles in use and to work on strengthening them. Martial arts activities require a person’s muscles to be in constant use, helping them to stay strong. The desire for better performance in a martial art will often drive people to begin other types of physical conditioning, resulting in a faster increase in benefits. In addition to strength, you also increase your agility, balance and flexibility. Help you lose weight – Practicing martial arts as an adult requires you to remain active, which will keep you burning the calories and losing weight. Additionally, as previously discussed, you will be building muscle mass, which will also help improve your metabolism and allow your body to burn more calories at a rapid pace. Relieve stress – It’s easy for us to feel overwhelmed and stressed out. Between work, kids, and general household duties, it seems like the worries never end. The exercise and concentration involved in the practice of martial arts allows you to be able to blow off some steam and relieve some of life’s stresses in a healthy and efficient manner. 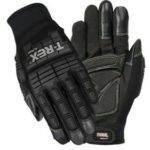 Improve confidence – There is a definite increase in confidence for people who are comfortable using self-defense techniques from martial arts. If you ever find yourself in a dangerous situation, you will be better able to manage your emotions and not be afraid. Knowing that you have the skills necessary to protect yourself from harm will help you to be confident and act in a more effective manner, even during the most troubling of times. Improve concentration – Martial arts of any kind requires great skill and concentration. Practitioners learn to act fast in order to defend against attacks. 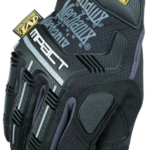 This will not only help you to improve your reflexes, but your concentration, as well. You will be required to focus with intensity on details and anticipate your opponent’s next move before they’ve even blinked. Deepen your faith –Our group reads, studies and discusses writings from saints and other significant, orthodox works from the Medieval and Renaissance. 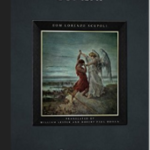 We are learning from the authors and from each in other about spiritual warfare and how to apply the lessons of European martial arts to that spiritual war. We also actively engage in group prayer and stress the importance of personal and family prayer time each day. In combining faith and sparring, we build a bond of brotherhood between the men in our groups. This bond allows us to offer each other fraternal correction and support from a position of trust and respect. We truly help each other to be better men. Be a better husband – As a husband, you are the spiritual leader of your family. Good leadership requires courage, confidence, strength tempered by faith, wisdom, caring, and love. The martial arts that is practiced in the Order of Lepanto requires that men learn not only how to use a sword, but also how to control strikes so as not to injure your partner. The control exhibited in while being influenced by adrenaline, helps you to control yourself in other areas of life and to care about the well-being of others. The study of medieval and renaissance fighting masters and great saints increases your knowledge of the art and your faith; while working on these skills with your fellow practitioners puts that knowledge into action, forming the building blocks of wisdom. Finally, there is a concept of being “in the moment” or as the German fight masters called it “In Des” – this is the ability to take what you have learned and practiced and apply it in the 1 or 2 seconds you have to react in a sparring match (or real combat). Being able to do this will help you to better respond to the needs of your spouse, family, and faith community. Be a better father – The improved physical conditioning of a student of martial arts comes in handy as a father, when pressed into to duty carrying children, their paraphernalia, or both. Your improved health and vitality will be a treasure that you can pass on to your children in habit and by your presence in their lives for as long as possible. As with being a husband the skills of caring while being strong and being able to act in the moment will be a tremendous help to you. Besides, you will love the look on the boy’s face who comes over to date your teenage daughter and you inform him that you are a full-contact sword fighter! The participation in martial arts, while not for every man, offers great benefits to you in your physical, metal, and spiritual well-being. 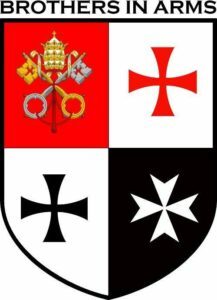 The Order of Lepanto is on a mission to get men involved and connected with each other and the Church, while building their courage and confidence. Just as the gifts that God bestows on each person are unique, every member of the Church is called to bring those unique gifts and their varied backgrounds to the community for the betterment of all. There are gifted speakers who are engaged in apologetics, writers who excel in bringing distinctive viewpoints to age-old teachings thereby refreshing them for all, there are builders, singers, and countless others. This article, though, is about a passion and skill that does not often get equated with men of faith – martial arts. The practice of specific forms of martial arts, however, is an excellent venue to bring men closer to their faith. Much has been written about a lack of men in the faith. The truth is that many men see Catholicism and Christianity as a feminine pursuit, even those who are believers. The truth, however, is strikingly different. God created masculinity just as much as He created femininity, and both must have a place in the Church. The masculine spirit thrives on challenge, adventure, and truth. We want to hear God’s teaching about the right way to do things and be personally challenged to achieve that lofty goal. The true masculinity that God has called us to is not the one where we watch sports all day on Sunday and drink beers with the guys; it is a vibrant and strong relationship where we strive to live God’s calling as spiritual leader and that of beloved son of the Almighty. While there is nothing inherently wrong with those activities, when they are pursued without regard to faith and family our lives become focused on the wrong goal. 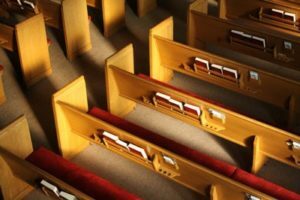 Too many men are missing from the pews today, and that is just a visible sign of the deeper problem: Too many men are absent from their roles as spiritual leader of their homes. How can we attract men back to the faith? My proposition is that a strong, faith-based martial arts program is one avenue to accomplishing this. Obviously not every man is interested in martial arts, but many are and they see it as a path to self-discipline, physical fitness, and an ability to protect themselves and others from the darker parts of humanity. While those are all good goals, not every martial arts program is easily integrated with Catholicism. The eastern martial arts (Karate, Tae-kwon do, etc.) are based in eastern mysticism and spirituality which are not entirely compatible with the Christian faith. Many modern people think only of eastern martial arts, but there is a rich history of martial arts in Western Europe, too. 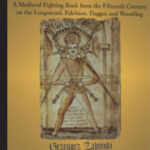 The Europeans, with their Catholic faith, created their own martial arts which were (and still are) quite effective. This system covered the use of weapons as well as unarmed confrontations, and many parts were written down so that today, several hundred years later, we can know how many of their techniques worked. 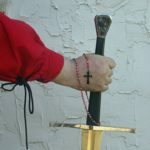 Not only are western martial arts effective and compatible with Catholicism, they actually offer the practitioner unique and valuable insights into the spiritual journey and answering the calling of men by God. Effective use of the traditional European longsword bears a striking similarity to spiritual warfare. Also, the way in which we learn western martial arts parallels how we learn about the faith. In regards to learning, think about the foundations of faith in childhood. We learn to memorize our standardized prayers first: Our Father, Hail Mary, Nicene Creed, etc. These foundational prayers are the basic tools of the spiritual life. Once we can recite them from memory, we learn about the richness of their meaning and then combine them with each other to form even more powerful prayers, such as the rosary. In western martial arts, there are foundational stances and cuts that a beginning student learns. After mastering the basic moves, we combine them into drills and finally into unscripted, unique demonstrations of martial skill called flouryshes (pronounced the same as flourish). The flouryshes prepare us for sparring in much the same way that practicing our prayers help us to prepare for the spiritual battles we will all face in our lives. The skills learned in martial arts build a man’s courage, build friendships, emphasize spiritual leadership, and strengthen prayer lives. In short, they make a better Catholic man. 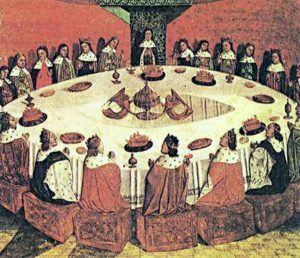 There are plenty of excellent programs for men that use the name of Knight or the symbols of Knighthood, but only in the Order of Lepanto do you actually learn the real martial skills of the Catholic Knights. In past 10 years or so, sword purchasers have become more knowledgeable. However, they remain vulnerable to misinformation or (hopefully less common) disinformation during the pre-purchase evaluation process for a modern sword. Even sword makers can have false ideas or a misunderstanding of true historical swords as they were used in combat. 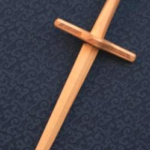 An ongoing project within the Western Martial Arts community, which the Order of Lepanto is proud to participate in, is to improve communication between consumers, enthusiasts, and professional sword makers. The basis on this communication begins with common terminology for all to use. The following vocabulary of common terms is offered in hopes of reducing the disagreement over definitions that can cause unnecessary angst. Authentic – While authenticity in a replica is somewhat subjective, there are objective measures that can help the qualification process. Battle-Ready – A modern marketing term implying the sword could potentially be a real fighting tool. The term has little meaning because nearly any item could potentially qualify as a tool for killing (e.g. 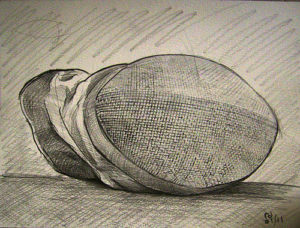 a rolled up newspaper). Blade – The entire continuous metal structure from tang to tip. A blade is traditionally the tempered and forged portion in contrast to the hilt attachments. When hilted, a blade generally refers to the metal portion from tip to cross. Bladesmith – A term which is typically applied to a knife maker who uses forging as the primary shaping technique. Similar to a swordsmith, but referring to the blade only rather than a complete sword. Blunt – A generic term for an unsharpened sword which are typically used for practice or training. Case Hardened – A variety of techniques by which carbon is diffused into the surface of a low or no carbon iron. Case hardening usually produces only a thin outer skin of steel and is, therefore, metallurgically inferior to full tempering. Center-of-Percussion – The portion of a cutting blade that is the ideal location for striking to cause the greatest impact with the least effort or vibration (i.e., the “sweet spot”). It is a factor or the blade’s length, width, cross-sectional shape, and overall balance. Center-of-Gravity – a term expressing how a sword wields and handles determined by its weight and how its center-of-percussion relates to its center-of balance. Custom made sword – Any sword that is individually handcrafted by one individual and may or may not be historically accurate. A few may be produced, but if the manufacturer mass produces the sword it is no longer “custom” sword. Edge – the place where the bevel planes of a sword, knife or other bladed tool meet or come closest to one another. 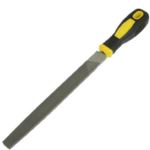 An edge bevel is the part that tapers in toward the centerline of a cross-section of the blade forming an edge. During sharpening usually just the edge bevels are actually ground/polished. Some edge bevels can be the entire side of the blade. Blade bevels are the tapering sides of the blade that lead to edge bevels. There are many different types of edge bevel possible. Elasticity – The ability of a blade to return to its shape without distortion, also called springiness. 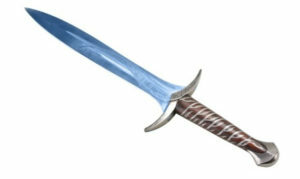 Fantasy Sword – A modern sword produced from an original or imaginary design as opposed to a known historical specimen. It may or may not be a functional weapon and may or may not be made through a historical process. Federschwerter / Feather-sword – a special practice sword used in the Medieval and Renaissance eras for training and mock combat. 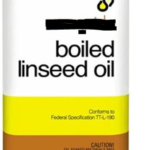 Also known as a foyle. Though having the same balance and weight as a “sharp” (a real weapon), it had thick rounded edges with a blunt rounded point as well as a more flexible temper on the last quarter of the blade. Forge – To form a blade by heating and hammering the steel either manually or by mechanical aid. “Hand-forged” refers to using traditional hammers rather than pneumatic power tools. A modern smith may use one or both. Forgery – Making a replica of a sword in a condition that intentionally falsifies its antiquity. Grind/Polish – The coarse removal of metal by abrasive action to change the shape of a piece of metal to match the desired shape of the blade. To shape/refine the finished surface or edge of a blade. This may or may not be accomplished by the aid of modern machinery or power tools. Hardening – The necessary process of transforming a blade of soft steel to a hardened state through quenching and tempering. High-carbon steel – Steel that contains a minute percentage ratio of carbon that results in harder metal. A broad and imprecise term referring normally to a steel with between 0.75%-1.20% carbon or steel that is over .50% carbon. Many replica swords do not go over .8%. Lower carbon steel would .01-.20% and medium, .20-.50%. Typically steel, of low or no alloy content, will reach maximum hardness at about 0.60% C and will get no harder as you increase the carbon content, you just wind up with (hopefully) undissolved carbides for the rest. Historical Sword – A specimen documented to have actually existed and been used, in this case, during the Middle Ages or Renaissance eras. Evidence may come from an authentic surviving or excavated example or one depicted in historical artwork. 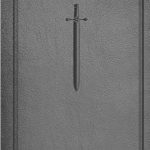 Historically Accurate Sword – This can be an exact copy of an actual historical piece (which itself may or may not have been a functional “long bladed hand tool” weapon) or it can be a sword constructed by adhering to the known materials and manner of production (which are derived from the close study and testing of historical or ethnographic swords). Accurate swords are ones that have comparable metallurgical quality, cross-sectional measurements, and dimensions of length, weight, balance, and hilt configuration of the original. Honing – The act of sharpening a blade to a very fine edge. Impact Strength – A qualitative term referring to the resilience a blade has in withstanding stress during strikes with a rigid target. This may refer to impacts on its edge or flat. Lamination – A construction method involving the welding together of steels of different hardness and carbon contents to produce a blade of desired strength and resilience. Museum-Quality – A modern marketing term (and a meaningless one as well) implying the sword is good enough to pass for a duplicate of one in a museum’s historical collection. Peening – The act of attaching a pommel to the tang by hammering over the small nub that protrudes or riveting it with a small cap. Quenching – The act of rapidly cooling a blade that has been heated to a critical temperature in order to harden it (forming martinsite). Quenching steel can be accomplished in water, oil, or air and are referred to in that way. What makes a steel air hardening, oil hardening, etc., is the amount and type of various chemicals in the steel besides the base iron and carbon. 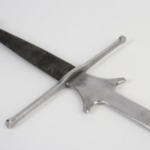 Replica Sword / Reproduction Sword – A modern sword that attempts to replicate an original historical sword based on a surviving specimen or from a photograph, drawing or description. An accurate replica sword blade may or may not be hand forged (e.g., stock removal is fine if the other attributes are met) and may or may not have a hilt made in the exact manner (for various reasons). The goal is to reproduce what the subject piece was like in a new condition in terms of dimensions, balance, and weight –so long as a piece is not a replica in appearance only (i.e., a “full scale model car” as opposed to a working vehicle). Sharp – A generic term for a sword with a sharpened edge –in other words, a weapon for either real fighting or cutting practice. Smelt/Smelting – To extract metal from ore through the use of heat and controlled atmosphere. Traditionally this entails the use of iron ore and a reduction furnace to separate the iron from the other minerals and impurities which would then be used to make steel through a secondary operation. Some cultures could smelt directly to steel. A more modern way is to use commercial iron powder and a crucible/furnace combination to make steel. Spring steel – Steel with a temper that permits considerable flexibility without breaking and are used in applications where flexibility or springiness is required (e.g. leaf springs). Typically preferred for sword blades. Modern steels exist in broad families based upon their intended main application: high-speed steels are used for drill bits because they chemically do not soften from tempering at the temperatures such bits are exposed to, shock resistant steels are used for jack hammer bits, and high-wear steels are used for dies and wear surfaces. There is no family called “sword steel”. In the past this term usually referred to a specific alloy of carbon steel, today it refers to any steel used for springs. Carbon contents for modern spring steels range between 0.50% C to 0.95% C.
Stock Removal – A process for making knife or sword blades using abrasive or cutting tools to shape a flat piece of steel by grinding away excess material. Depending on the quality of tempering following the process can produce a very good or very poor blade. If a manufacturer uses the stock removal method to form blades they are a “maker” if forging is the primary means they are called “smiths”. Even forged blades (modern or historical) will have some degree of stock removal performed on them for final shaping/polishing. Sword-like-object (“SLO”) – A derogatory term for an ahistorical blade-shaped bar of steel that is neither an accurate replica nor reproduction (i.e., a stage-combat “banger”). Modern slang for wall-hangers, or non-functional swords that despite appearing to be real cannot be used in realistic practice or serious training, let alone for their historical function. Sword Cutler – Historically this was a person who put together a sword from parts made by others (i.e., a swordsmith). This was the usual method of sword manufacture. Sword Fabricator – A person who uses rolling mills, CNC machines, or other machinery to produce blades and sword parts that are fairly identical. Depending on the quality of the final piece(s), this process can be good or bad. This is fabricating with the same meaning of the word that is used throughout the metal shaping industry. Swordmaker – A loose term for anyone who makes swords or sword blades, either from parts or completely from scratch, using any fabrication technique or combination of techniques. A swordmaker may or may not conduct his own hardening and tempering process. The term most properly applies to an individual as opposed to a company. Swordsmith – One who forges a sword blade – done by heating a bar of metal and pounding it into shape, then grinding or polishing and finishing it. A true smith is also capable of quenching, hardening and tempering his own blades. Tang – The portion of a blade that extends through the handle to the pommel. It usually is of a different temper than the working portion of the larger blade itself. Accurate reproductions swords are those with square or rectangular “full tangs” –that is, extending the full length into the pommel –as opposed to having a rod welded on. Temper – A selective reheating process performed after quenching to reduce the hardness of martinsite (hardened steel) by applying specific heat over a period time. Tempering- The application of lower temperature to the metal part for a certain length of time to soften it up. 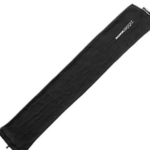 This can range anywhere from light stress, to very springy and medium hard, to almost as soft as the un-quenched piece. A blade is first heated in a forge until bright red and then quickly dunked into a trough of water (quenched). At this point it is harder than a file and brittle as an icicle. Then, it is baked (tempering) at a low temperature for a short time so that it emerges springier and much less hard. Test-cutting – The evaluation of the performance of a cutting sword, and/or swordsman, by striking test materials with a sharp weapon. Test-to-destruction – Purposely testing a blade until it fails by breaking or catastrophic bending. Usually a sequential experiment from soft to hard-target testing designed to ensure the blade is no longer usable. Used by swordsmiths/makers to find the outer limits of performance of their blades. Wallhanger – A derogatory term for a decorative sword (i.e., a costume sword or prop) that is neither an accurate replica nor reproduction and is not a functional tool or true weapon.